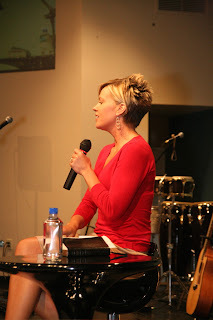 Kate Gosselin (right) of the television show “Jon & Kate Plus Eight” was one of the special guests this past Sunday at Gateway Grace Community Church, a Grace Brethren church in Parkesburg, PA (Dan O’Deens, pastor). The Parkesburg church will have a grand celebration and dedication of its new facility on Sunday, March 8. For more information, click here.